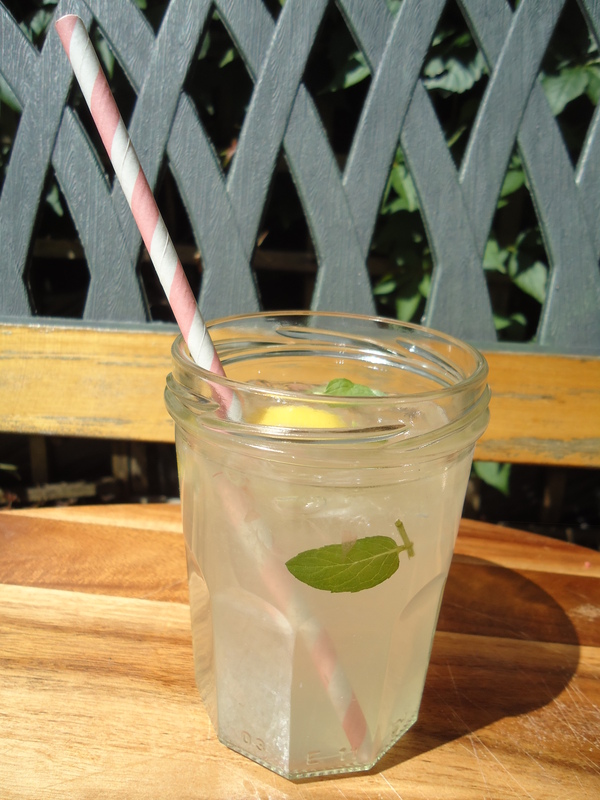 Hungarian Lemonade | Namaste to you, Sir! It’s 27 C degrees in London, time to start thinking about strawberries, lemonade and ice-cream! Two weeks ago I went to Budapest to attend a wedding. I found the country and the people to be lovely, and I had a great time at the wedding, but what I loved the most was the food: strudel filled with ricotta and raisins, poppy-seed cakes with a filling of roasted apples…oh! the FOOD! 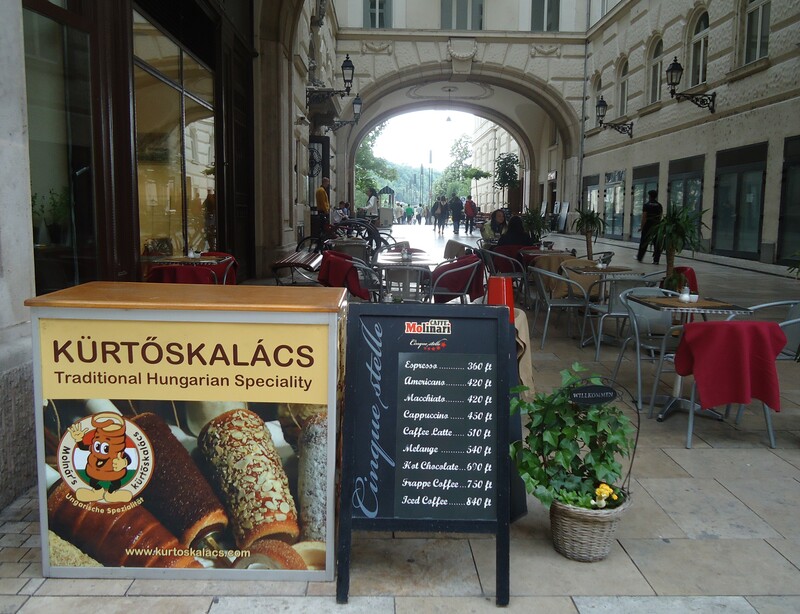 If you go to Hungary my recommendation is that you eat. Try as many things as you can. 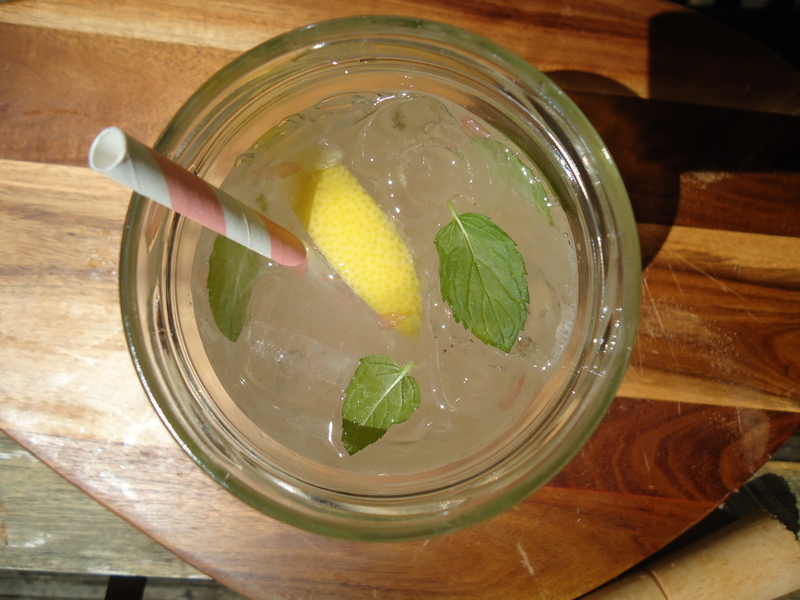 Anyway, as I was saying, the food was great, and from the many things I ate and drank, this lemonade was my favourite. I think because I thought there wasn’t much more you could do to improve lemonade, after all, it is lemons and water… or so I thought. I think when life gave Hungarians lemons, they just laughed and proceeded to show Life that lemons, yes, lemons, could be turned into something amazing, with a little bit of skill. I’m sure life regrets deeply not having kept those lemons to make the lemonade herself. There isn’t an official recipe, the one in this post is the one I got from a nice waitress at one of the many restaurants I visited, but I’m sure different families have different recipes, so feel free to adjust the ingredients to your taste. 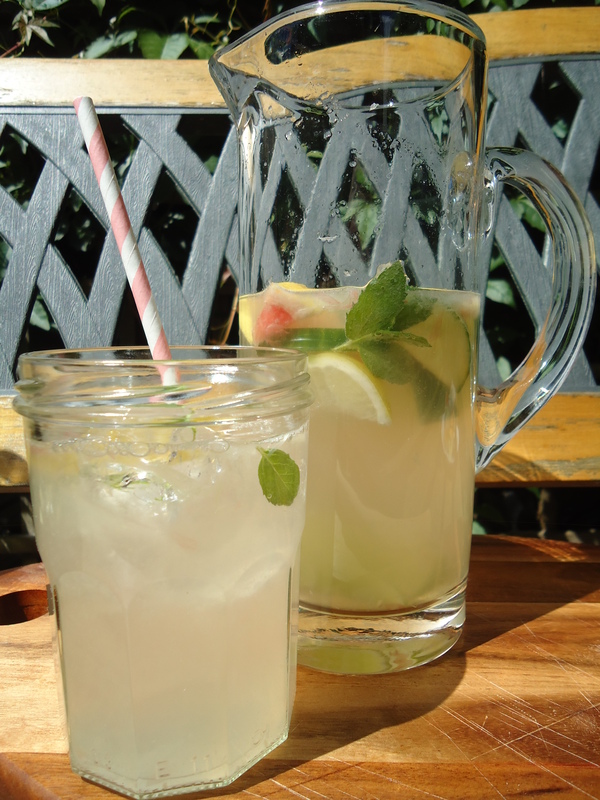 So if you are already making plans in your head for the weekend, maybe thinking about a picnic or spending some time in the garden, why not prepare this lemonade as a refreshing drink to take along? It’s quite simple and super tasty! Sugar (depending on how sweet you like yours, between 1/2 tablespoon and 3) or you can use a bit of honey, if like me you don’t use sugar. 1.- Cut the lemon, lime and orange into wedges. Reserve 4 of each and place the rest on a jar. Add the sugar or honey. 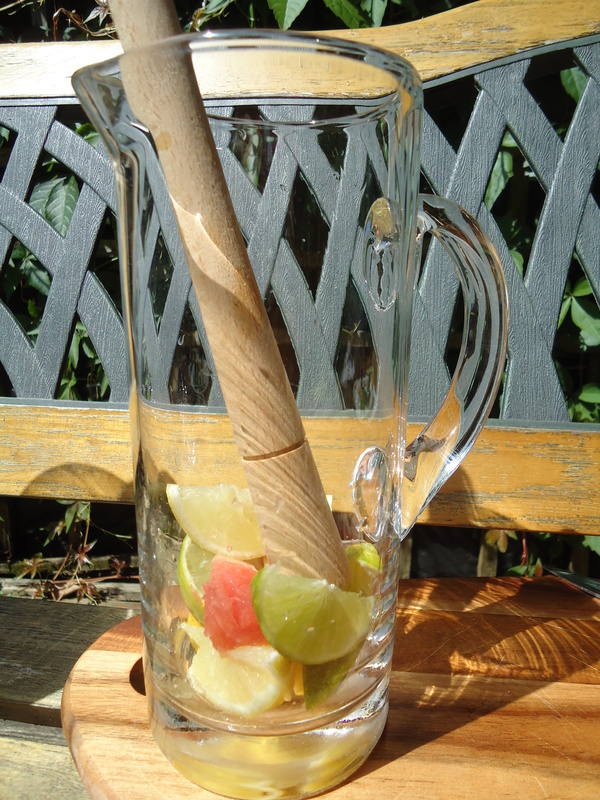 2.- Use a muddler to crush the fruit and sugar together. Try to extract as much juice as possible. 3.- Remove the muddled fruit and discard. 4.- Cut the cucumber into wedges, add to the jar together with the mint and the fruit wedges you reserved. Then top with the soda water. 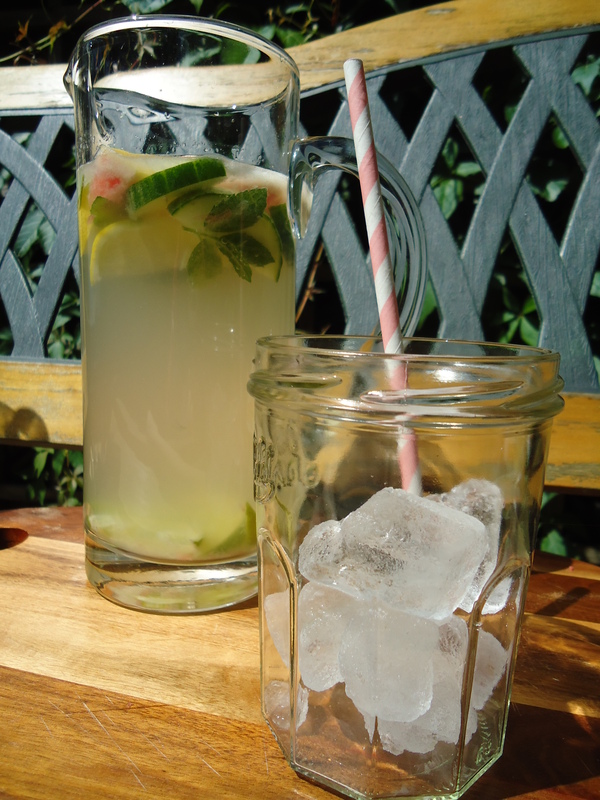 5.- Place in the fridge for an hour before drinking, so that the cucumber and mint leaves have time to infuse the liquid. 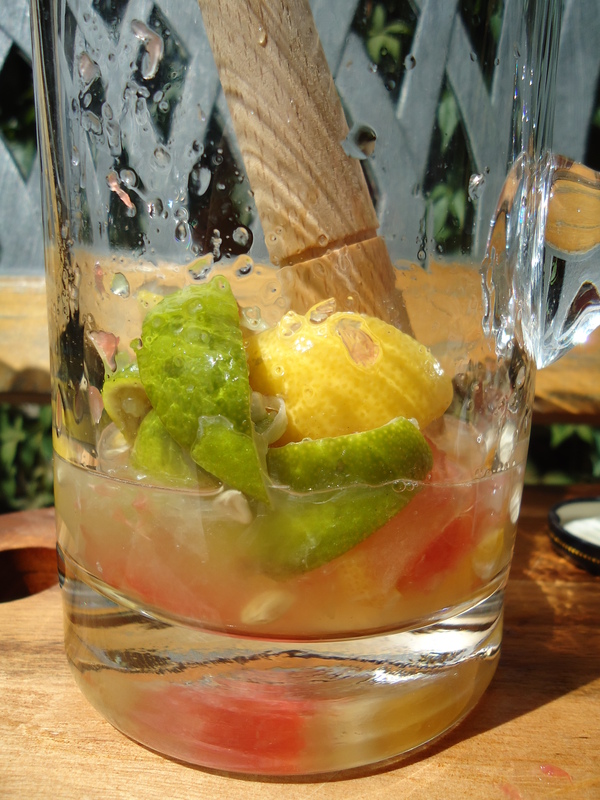 Serve with ice cubes and enjoy outside, with a good book or a barbecue… Delicious and refreshing!! You can even give this drink a bit of ho’oponoppono by preparing it with Blue Solar Water! 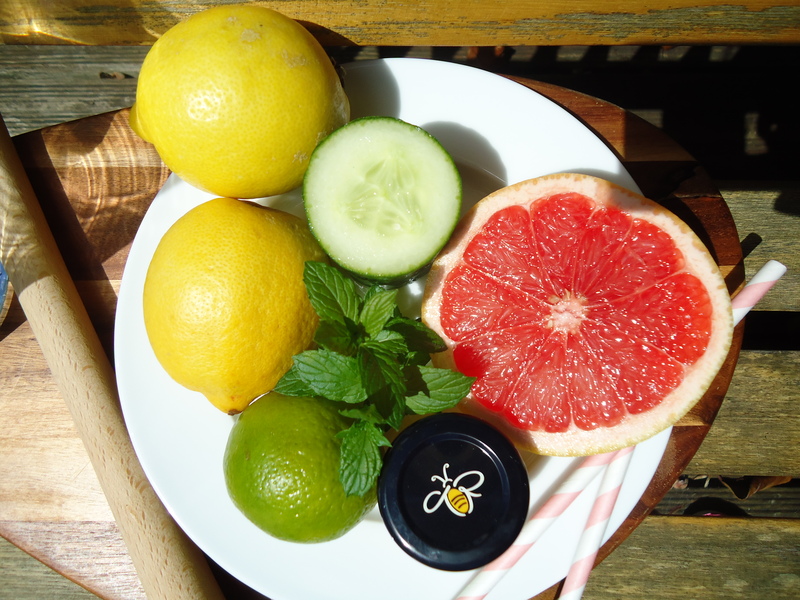 Pingback: Refreshing Watermelon & Cucumber Juice | Namaste to you Sir! Pingback: Sit under the sun and sip one of these… | Namaste to you, Sir! Pingback: Gone on Holidays! | Namaste to you, Sir!